MarkLogic is a database designed for NoSQL speed and scale, without sacrificing the enterprise features required to run mission-critical, operational applications. Using a multi-model approach, MarkLogic provides unprecedented flexibility to integrate and store all of your most critical data, and then view that data as documents, as a graph, or as relational data. You can avoid expensive and brittle ETL and better manage the entities and relationships that your business works with. To bridge data silos, data management means being able to deal with heterogeneous, multi-shaped, multi-formatted data. 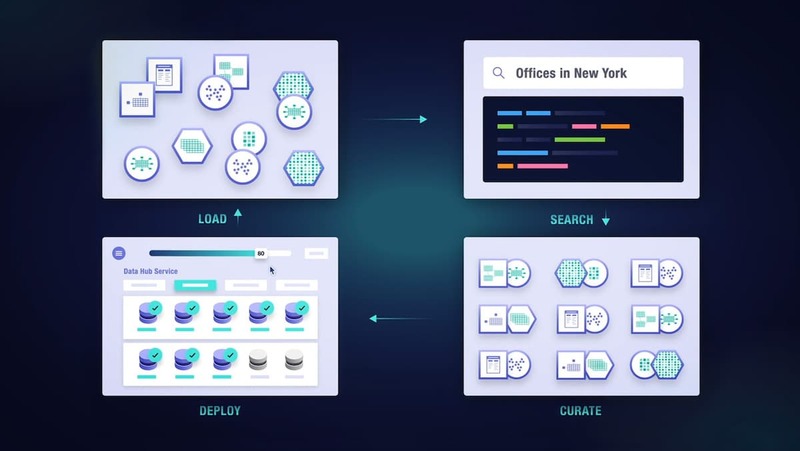 Because MarkLogic at its core is a document database, the most flexible of NoSQL databases, it easily loads that multi-shaped data without upfront modeling. Additionally, MarkLogic lets you make associations between documents using triples. So triples, documents, and data — that’s what we mean by multi-model. Ingest structured and unstructured data as is with a Flexible Data Model that adapts to both changing data and changing data structure. MarkLogic natively stores JSON, XML, text, geospatial, and semantic triples. The database has built-in, lightning-fast search capabilities with an “Ask Anything” Universal Index. MarkLogic also provides APIs and other tools to enable fast application development and deployment to any environment. MarkLogic is enterprise ready, having ACID transactions, scalability and elasticity, certified security, high availability, and disaster recovery — plus other enterprise features required to run critical business operations. Our elegant design allows you to easily ingest documents, triples, and relational data creating a unified, actionable 360 degree view. Now you can search and query all of your data in transactional apps, analytical apps, and other downstream systems. Inherently flexible, scalable, and agile. By eliminating costly, time-consuming ETL, our flexible database architecture allows you to quickly and easily load data as is, harmonize, and deliver results — faster. Your relational database can’t keep up with the rapid, constant change in your data. MarkLogic’s modern database was designed to keep pace with the velocity and variety of today’s data. Integrate data 4x faster — see results in months, not years.